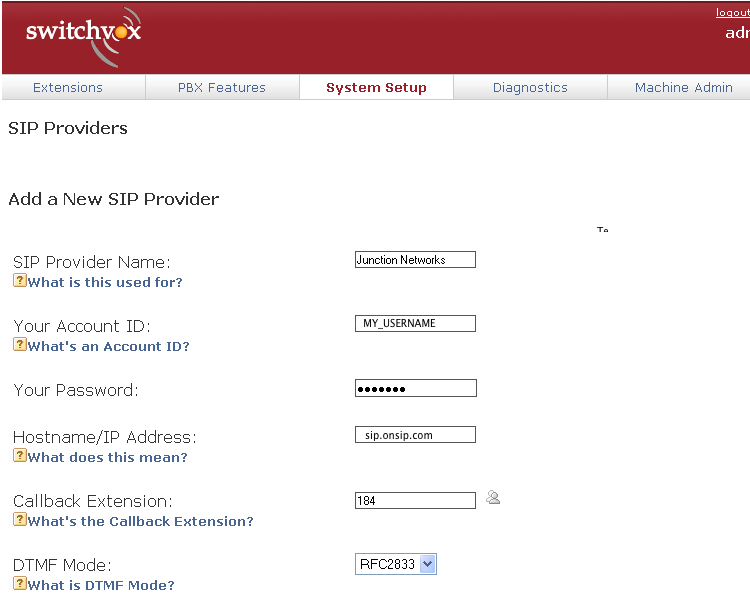 Below are the configuration instructions for Switchvox. First log into the Admin Portal. 1. Navigate to SYSTEM SETUP >> SIP PROVIDERS. 2. Select ADD New SIP Provider. Caller ID Number must be a valid 10-digit number for the service to work. 5. Before you can use the service, you need to first establish your Outgoing Calls settings. Navigate to SYSTEM SETUP >> OUTGOING CALLS. CONGRATULATIONS! You should now be ready to make and receive calls from OnSIP.